A sharp observer of politics, finance, and the evolution of American culture, Michael Lewis combines keen insight with his signature wit, making him one of today’s leading social commentators. His best-selling books include Flash Boys: A Wall Street Revolt, The Big Short, Liar’s Poker, Moneyball: the Art of Winning an Unfair Game, The New New Thing, Home Game: An Accidental Guide to Fatherhood, and The Blind Side: Evolution of a Game. His books have gone on to inspire several Oscar nominated films, including 2009’s The Blind Side, starring Sandra Bullock, and 2011’s Moneyball, starring Brad Pitt. In December 2016, Lewis released his 16th book, The Undoing Project: A Friendship that Changed Our Minds. In keeping with his unparalleled ability to tell stories about "quirky individuals who zig when everyone else zags" (as The New York Times puts it), the new book dives deep into the world of Daniel Kahneman and Amos Tversky, who founded the field of behavioral economics with their revolutionary theories on decision making and human errors in judgment. 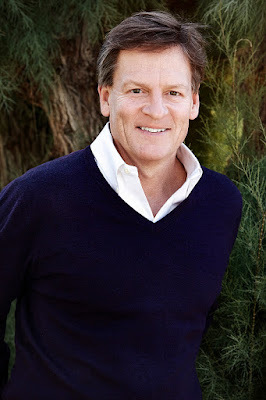 A native of New Orleans, Michael Lewis graduated from Princeton University with a degree in Art History and earned his Master’s from The London School of Economics. Prior to his career as an author, he worked with The Salomon Brothers on Wall Street and in London. Lewis is also a columnist for Bloomberg News and a contributing writer to The New York Times Magazine, Vanity Fair, Slate, and Sports Illustrated. Whitworth’s President’s Leadership Forum draws key national leaders to the Inland Northwest to provide wisdom and insight on a variety of contemporary issues. Cost for this event is $50 per person or $500 for a corporate table (10 seats per table). Lunch is included. Additional sponsor opportunities are still available. To learn more or to RSVP for this event, please visit Whitworth's registration page.